Striking modern earrings feature concave squares of blackened Sterling Silver with a lustrous approx. 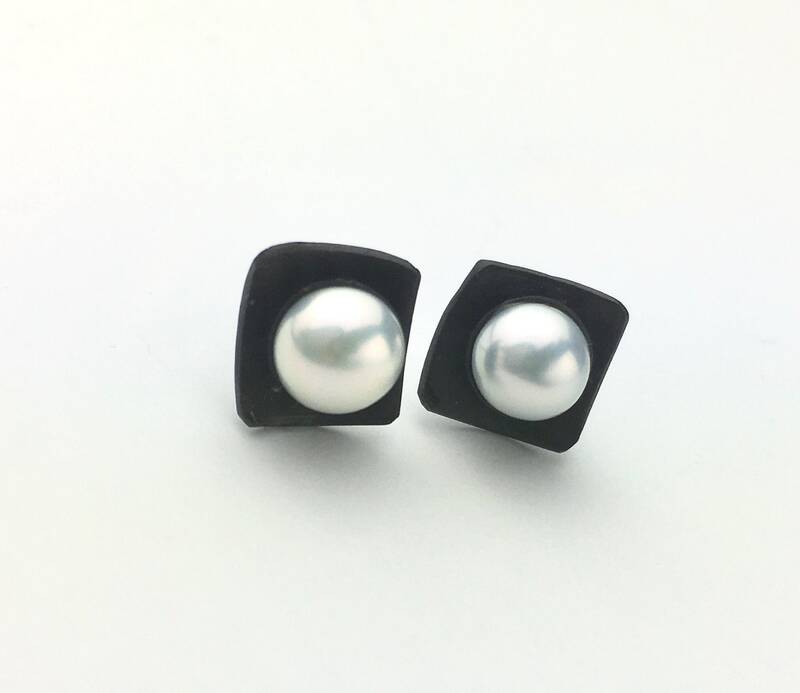 6mm Pearl nestled in a cup in the center. Assymetric squares measure approximately 9mm. Sterling posts & nuts.